Faith • Dream: 2016 new year party and the 19th anniversary celebration of the company - Corporate news - Maxvision Technology Corp.
On January 16, we held the 2016 new year party and the 19th anniversary celebration in Shenzhen successfully. People attending it were full of joy. The party started with grand folk dance “China Dream” full of the dreams and passion of our staff. After the dance, Qu Lei, our chairman, delivered an address for the new year, thinking highly the great achievements reached by the company in the last year, making strategic planning for the coming year, expressing gratitude for the staff and believing the staff can make greater achievements in the coming 2016. Hu Gang, representative of the president office, made a speech, recollecting the warm and touching stories of the staff in the year of 2015 by reading his simple work diaries with great passion. April showers bring May flowers. By means of nomination by leaders and secret ballots, the winners of nearly 10 awards such as chairman special award, touching Maxvision and best responsible employee award were elected. Leaders of the president office gave the awards. The winners work hard on their own posts, setting the criteria for excellent employees through their sense of responsibility and behaviors. The staff of Maxvision are masters of technologies and services in work and professional actors and actresses on the stage in the party. They brought about an audio visual feast through diversified wonderful cultural programs such as dances, sketches, cross talks, solos, etc. People were nervous and expectative during the prize draw. There were multiple prizes, including special prize, first prize, second prize, third prize and lucky prize. There were more than 30 lucky colleagues in the activity. The party ended with cantata Unity is Strength performed by Debugging and Testing Department, followed by a dinner. People blessed one another. During the “Treasure Bowl” lottery draw, people were excited, calling out the numbers on their lottery tickets. The 19th anniversary celebration of Maxvision and 2016 new year party came to a perfect end. The achievements in 2015 have become a history and the struggles and expectations in 2016 have just begun. 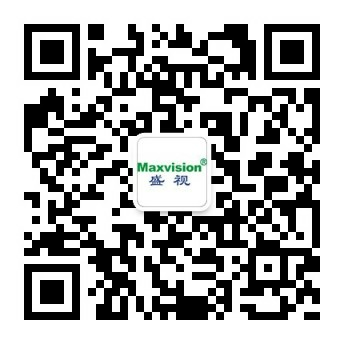 The employees of Maxvision are ready for a better future.